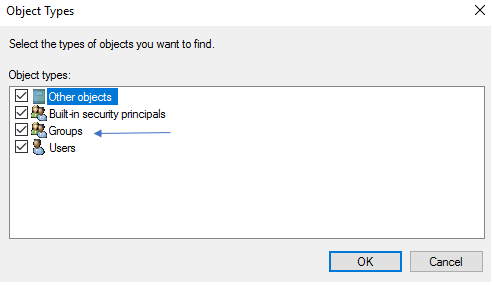 Welcome to my Microsoft Tips & Tricks section. 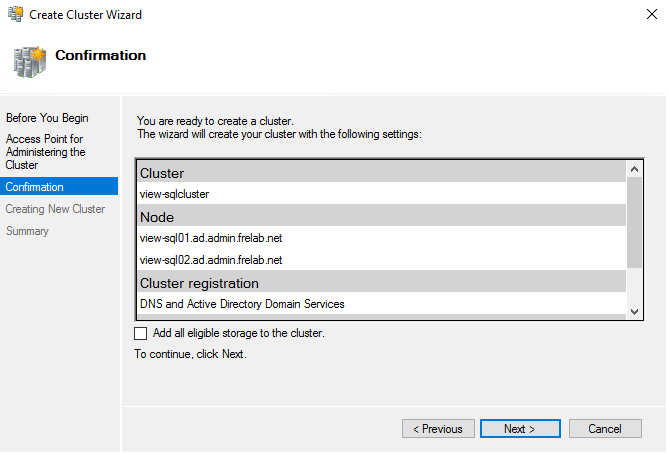 In this session I will describe how I setup an Always On SQL Cluster for my Horizon SQL Databases. 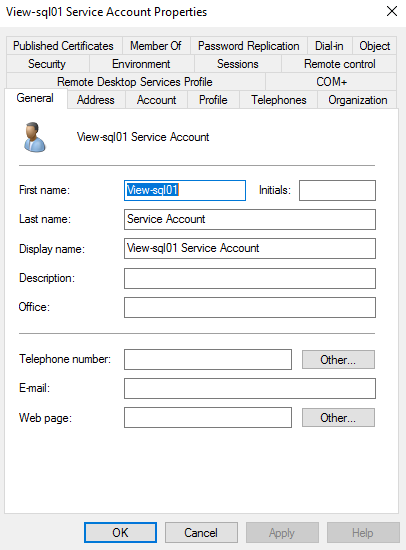 From time to time, my customers throw me a curveball. 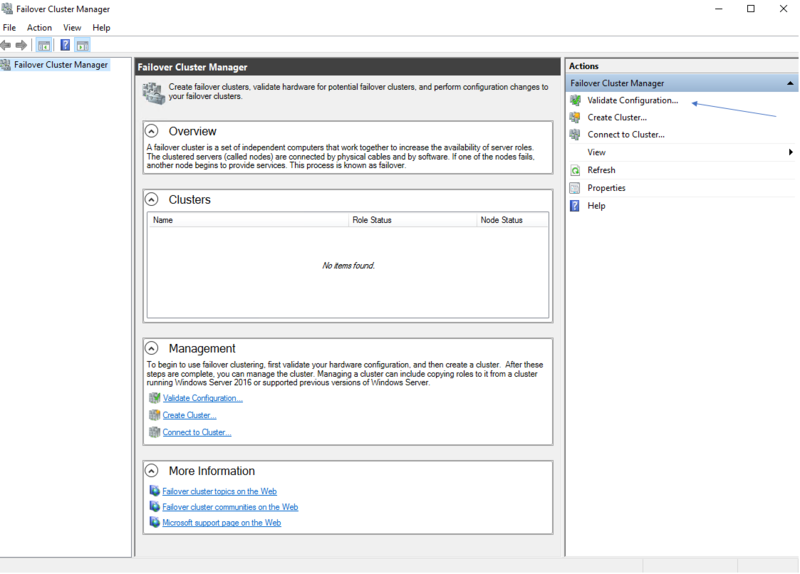 This time the question was, how can we ensure High Availability for App Volumes? 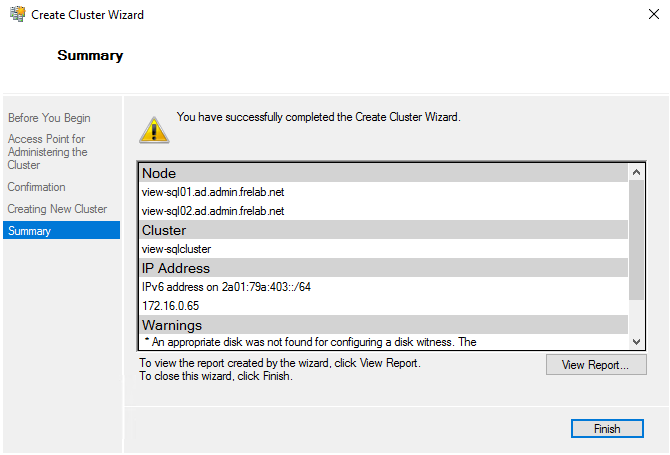 Well, first of all, setting up two App Volumes Manager is a nice start. 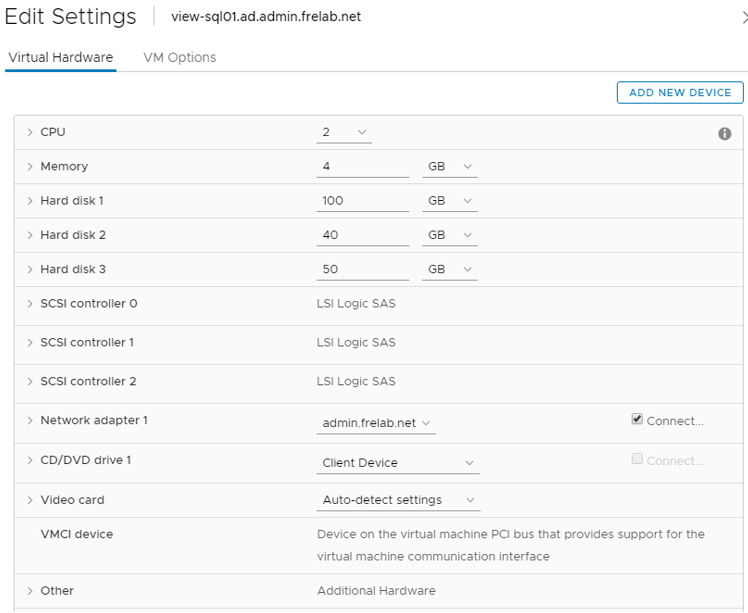 Make sure to set up an anti-affinity rules in DRS to ensure that these servers are newer on same esxi-host. 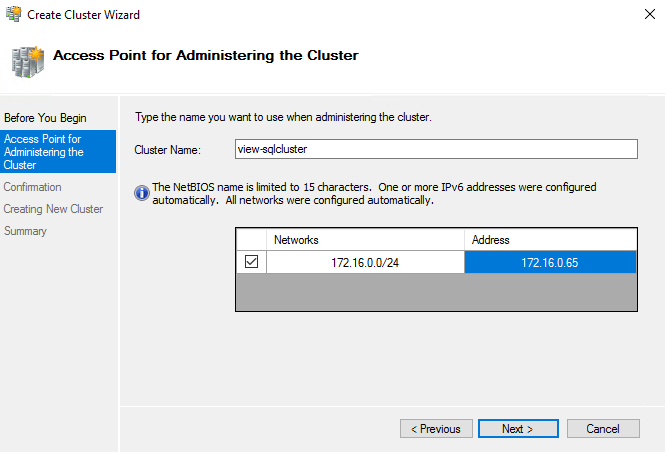 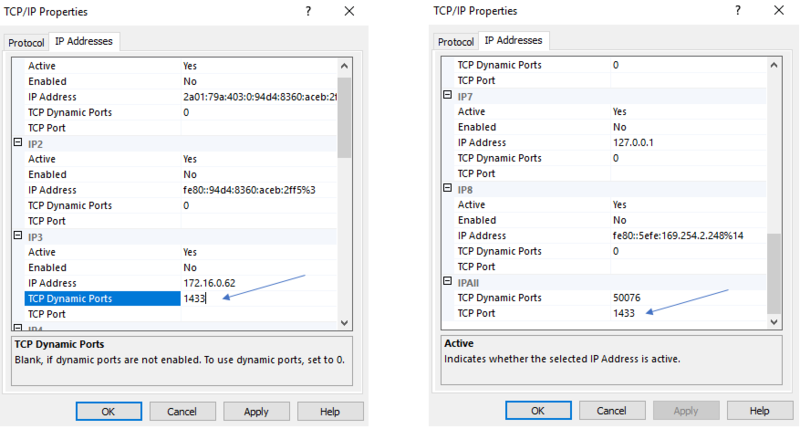 Next, load balance the connections from the App Volumes agent inside the VDI’s to the App Volumes managers, typically done through a loadbalancer, F5, Nextscaler etc. 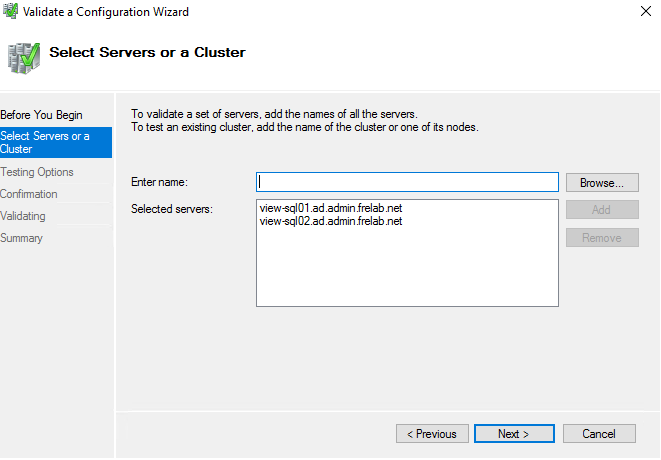 Finally, cluster the database that App Volumes uses. 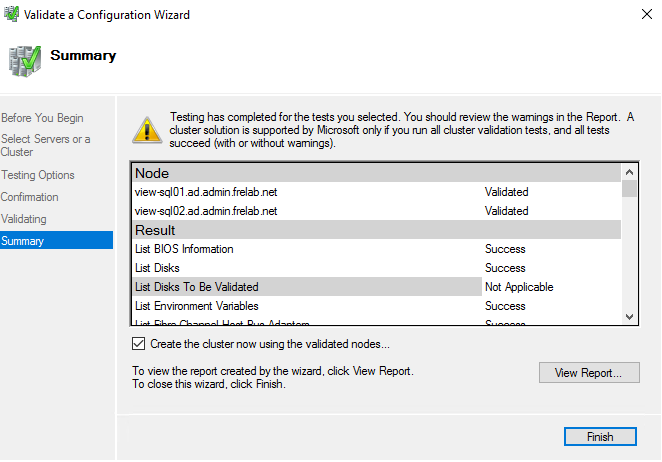 This last task is what this session will cover. 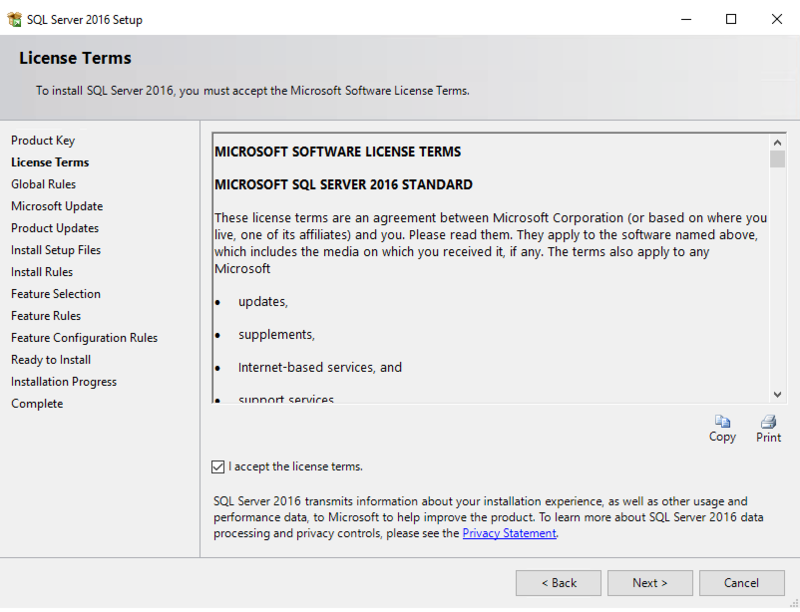 As I’m in no sense a DBA or SQL-expert, I needed to do some googling before setting up this. 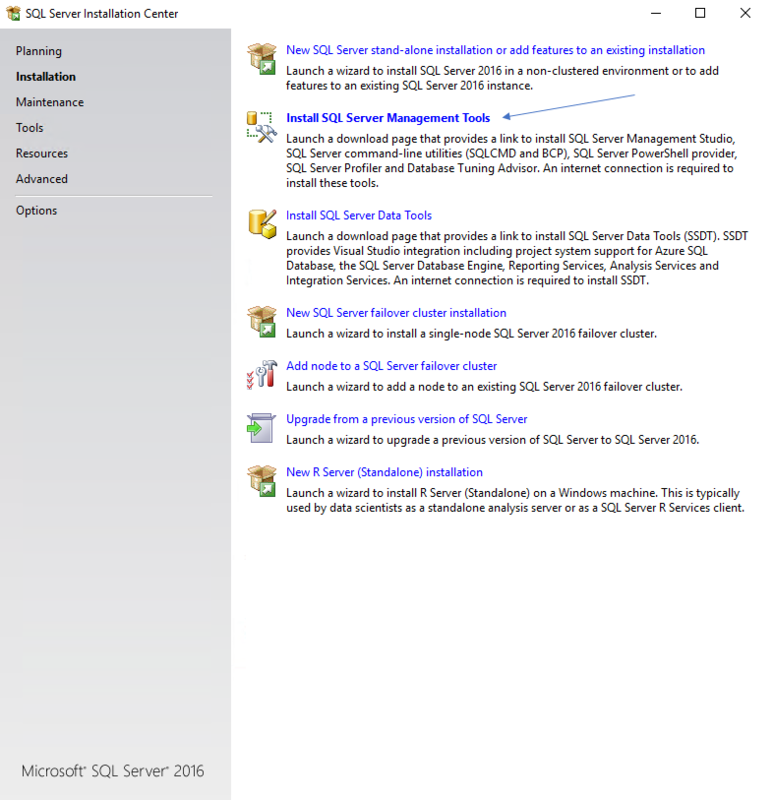 I have added a couple of links under recommended reading at the bottom to the sites I used to accomplish this task. 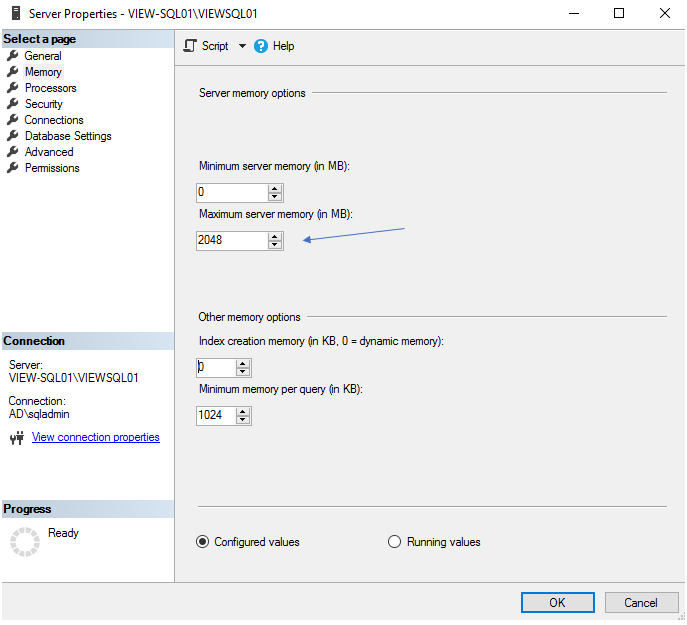 Create two vm’s, scale vcpu, memory, storage according to need. 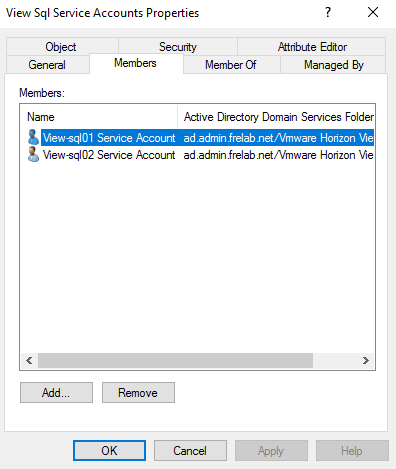 Install server os and join to domain. 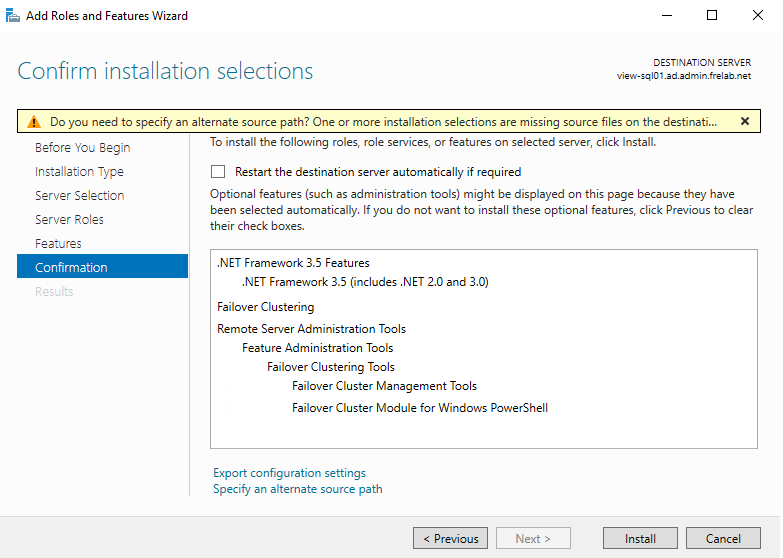 Configure partitions. 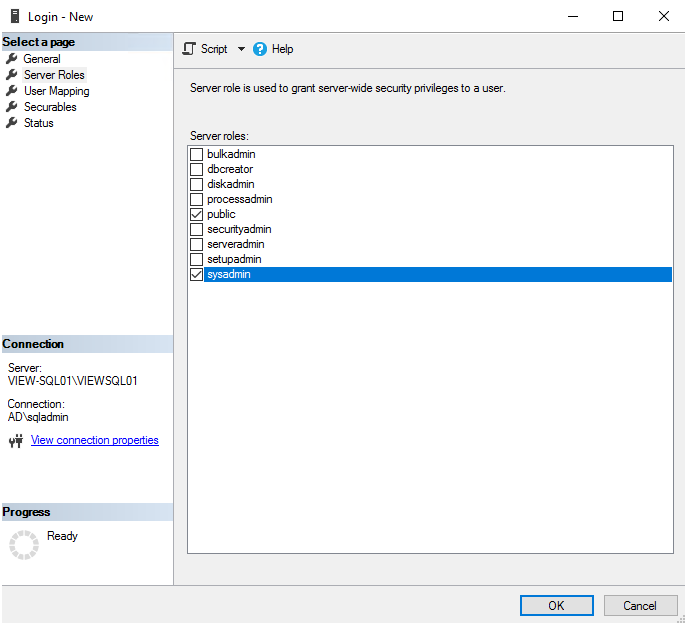 I wont go into the detail about provisioning the necessary VM’s, giving the servers ip addresses and joining to the domain, as I believe my audience are proficient in accomplishing this. 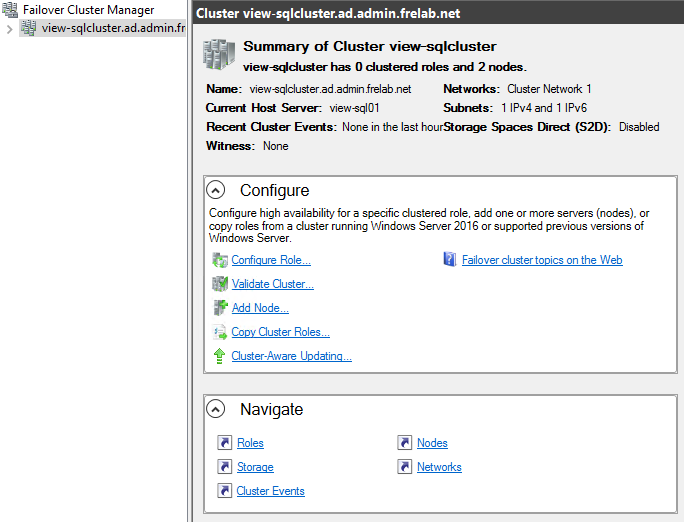 I have attached a screenshot of the Virtual Hardware I setup for my lab SQL-servers below. 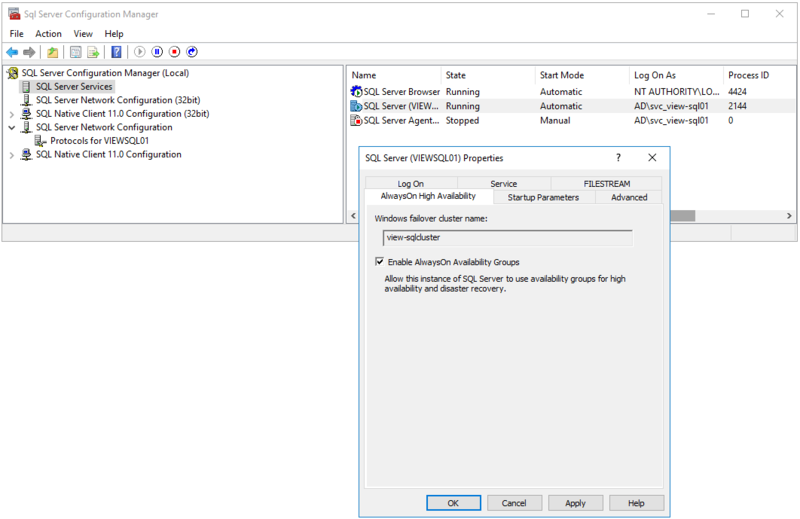 In Disk Management I partition my disk as follows. 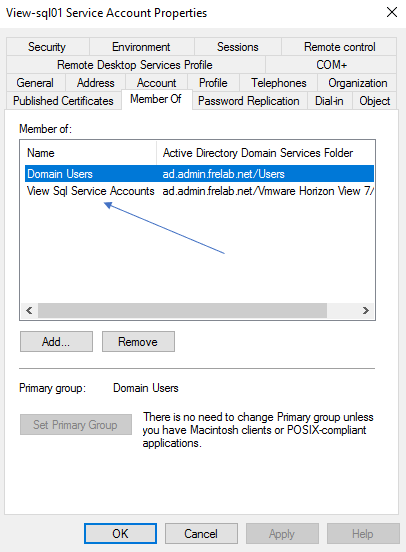 As we can see, this is not very large partitions, but my Horizon databases wont need a very large disks either. 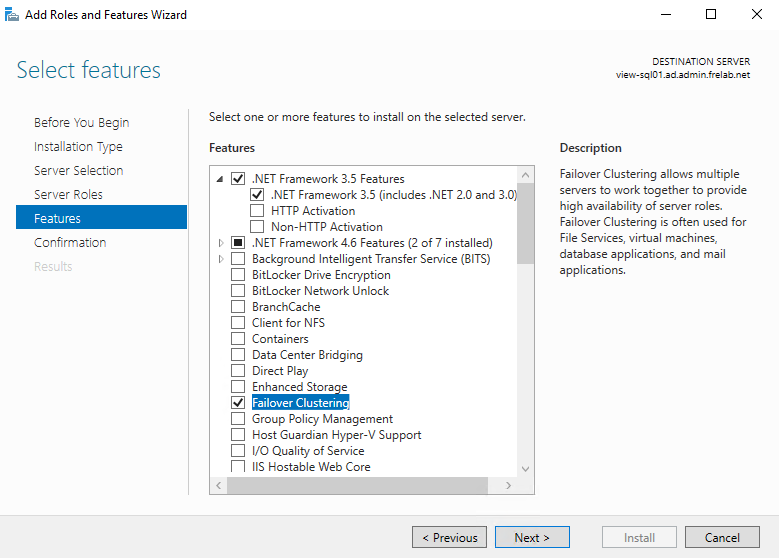 Also, this way of partitioning for SQL Server, isn’t best practice, I know. 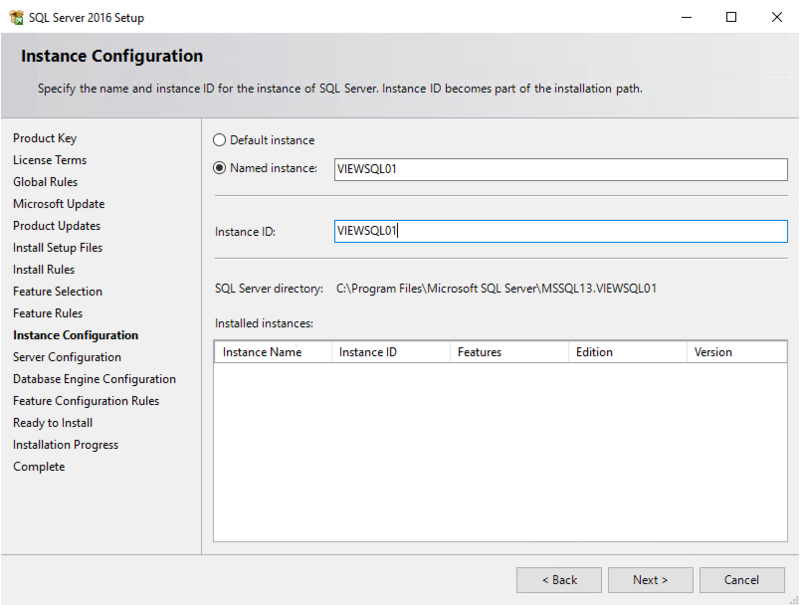 In a production environment I would follow VMware’s best practice guide for settings up SQL Servers in vSphere. 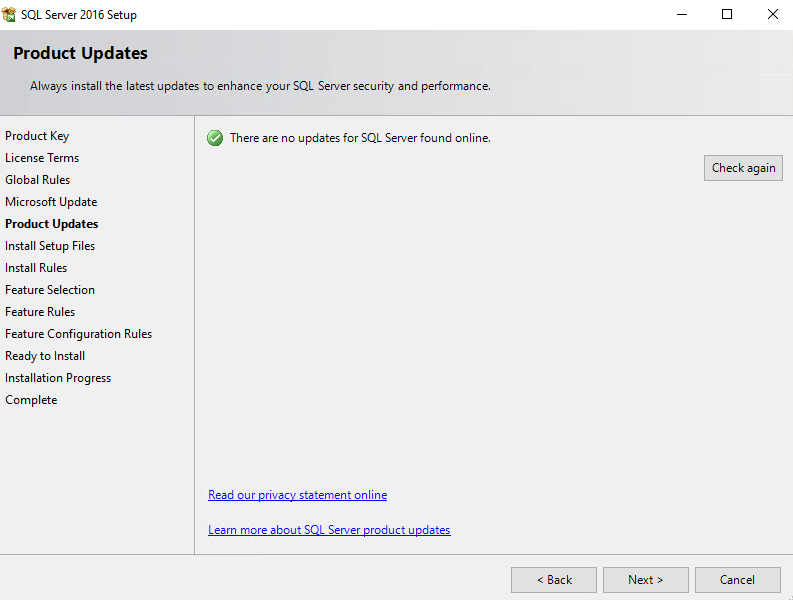 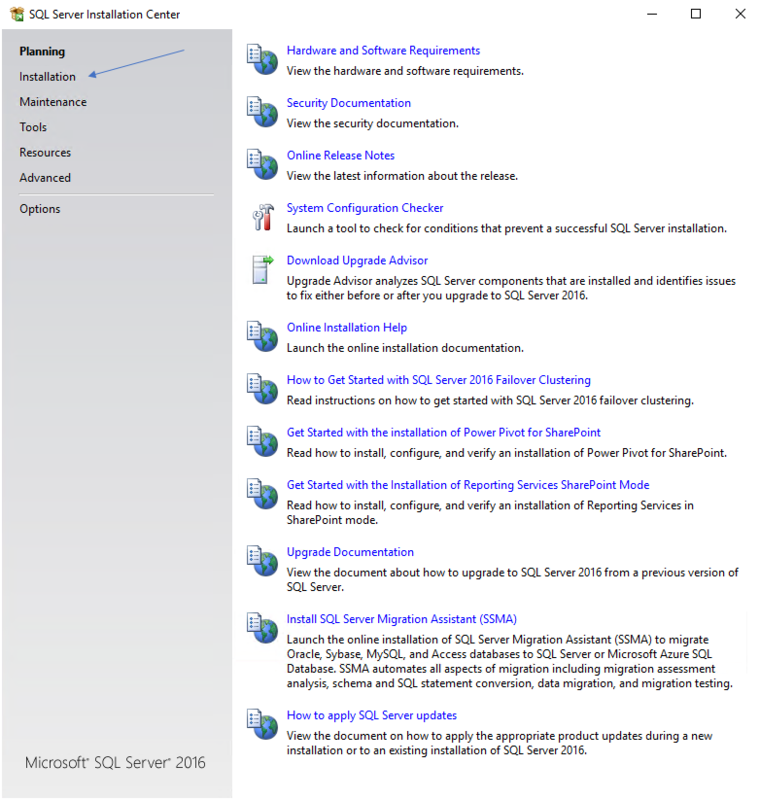 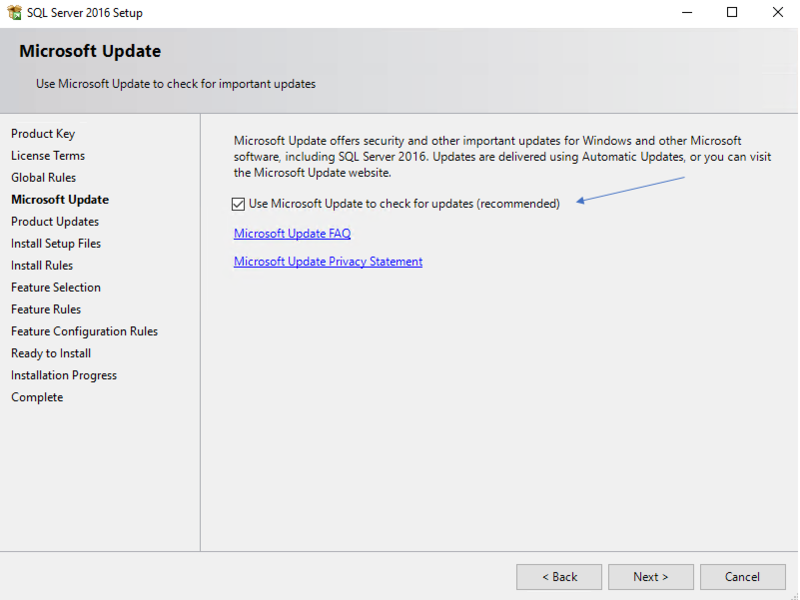 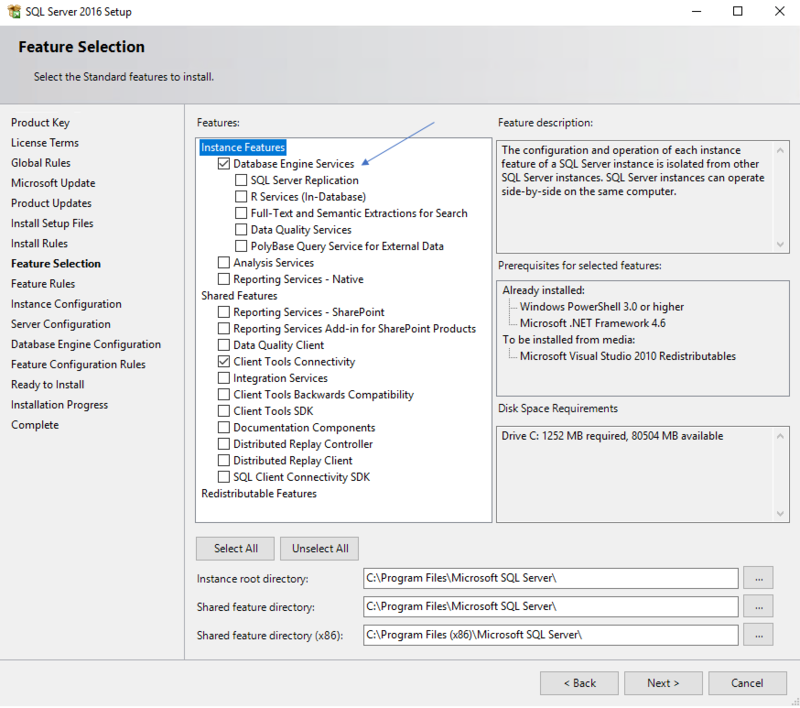 I will create a separate SQL Admin user that I will use when installing SQL Server. 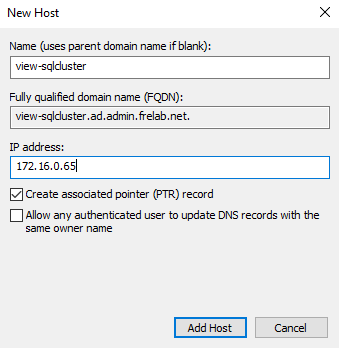 In a production setup, I would probably set up a SQL Admins Group for these SQL-servers, and give this group the Admin permission during installation. 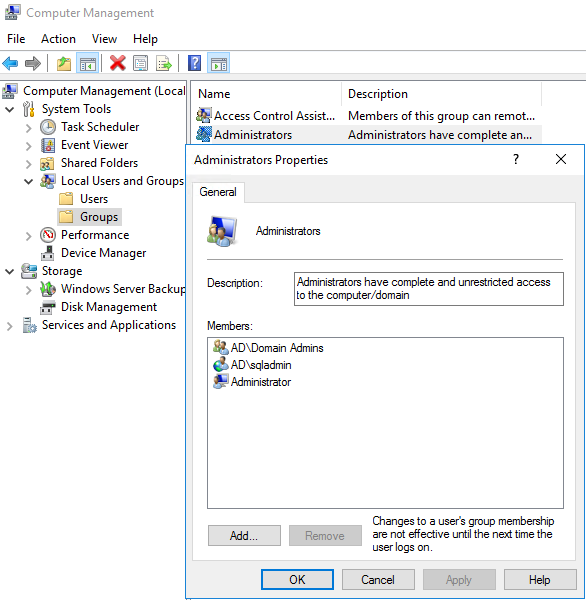 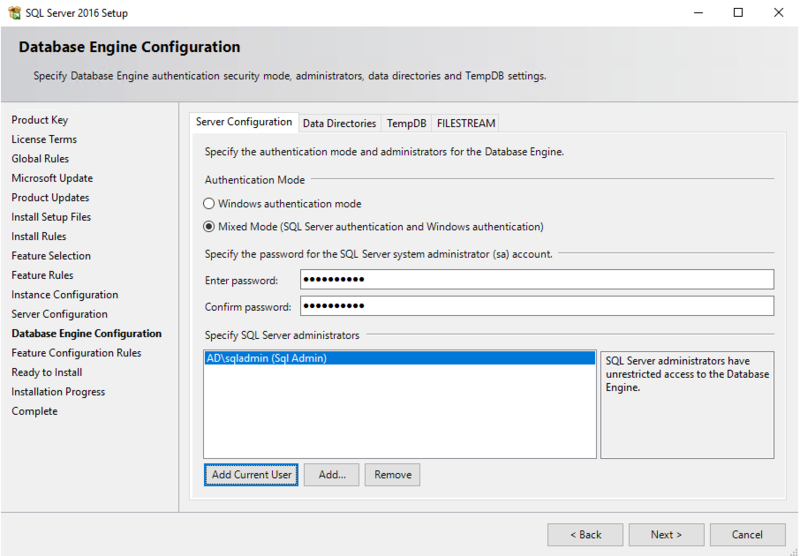 The SQL Admin account is a normal Domain User, but I add the account to the Administrator group locally on both servers. 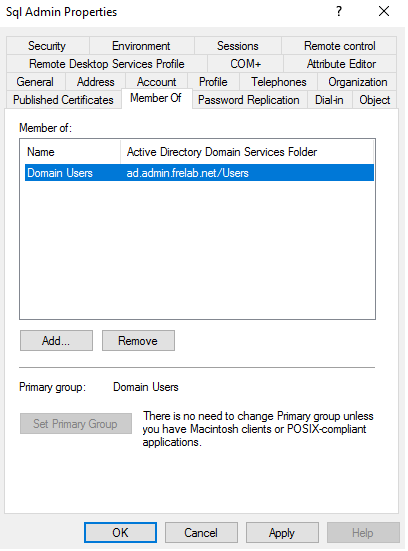 This could also be done by using the Restricted Groups setting in a GPO. 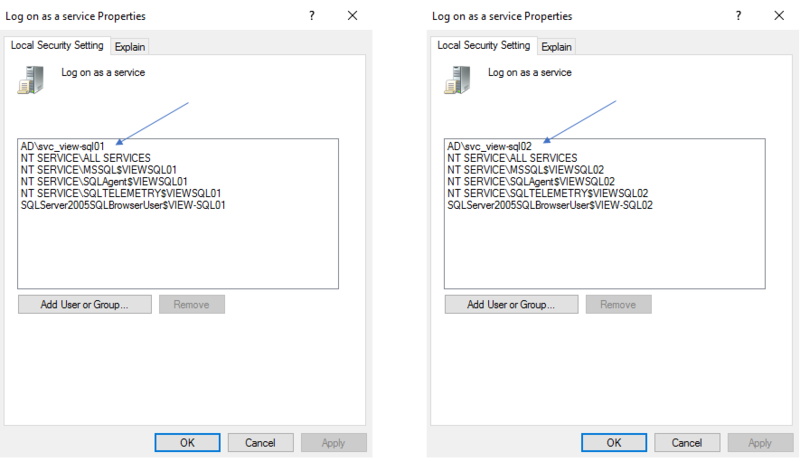 I will also create separate service-accounts for each server and group these in a group that is given sysadmin-permissions in SQL, below. 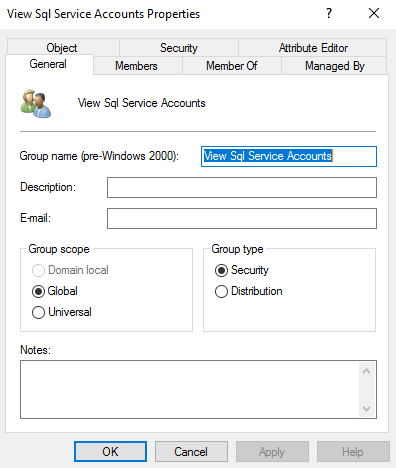 I name the service-accounts: svc_view-sql01 & svc_view-sql02. 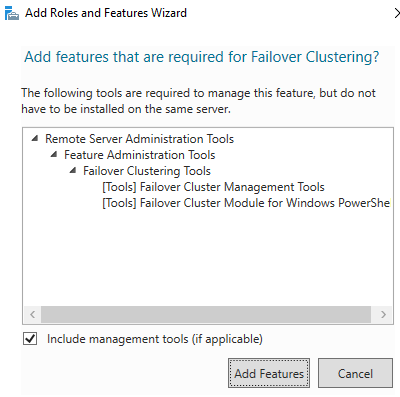 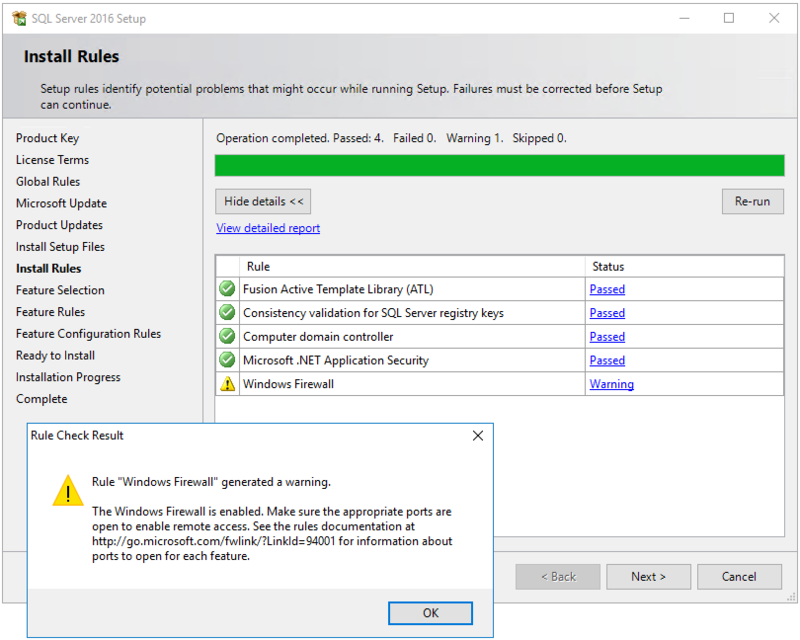 I will need to add both .Net 3.5 and the Failover Clustering feature on both servers, from Server Manager I add these features first. 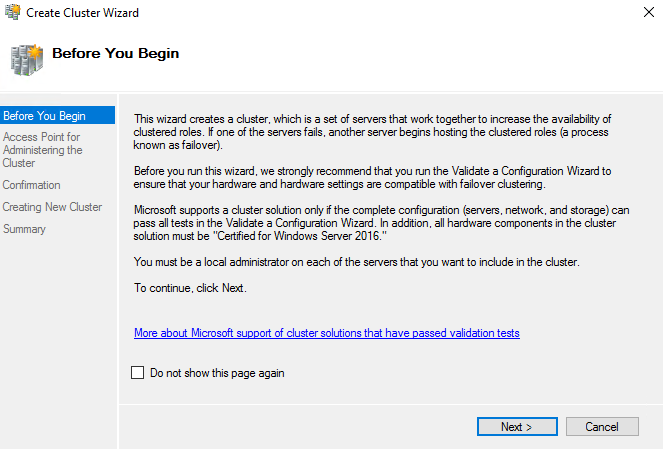 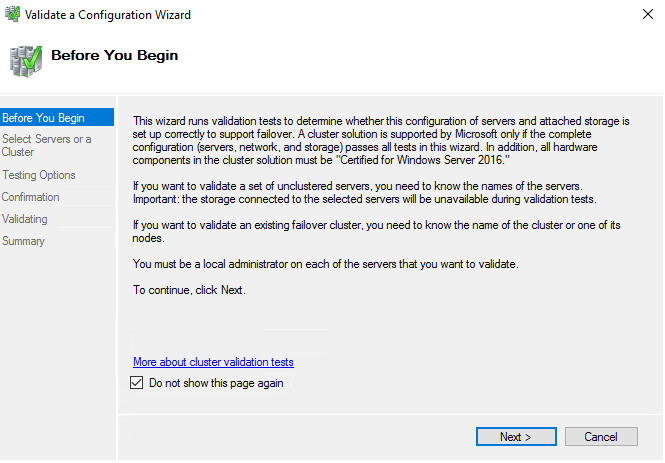 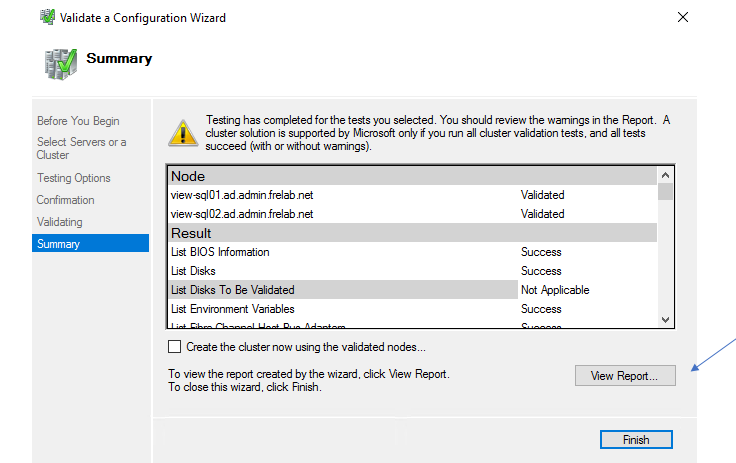 Next, I select “Create the cluster now using the validated nodes”, Finish. 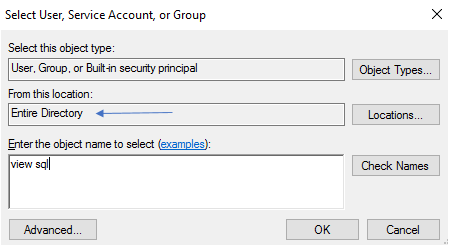 I select Mixed Mode and enter a password. 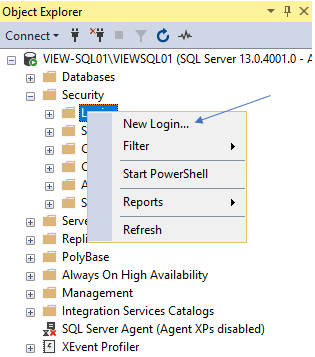 In my lab, I choose to use my SQL Admin user as SQL Server Administrator. 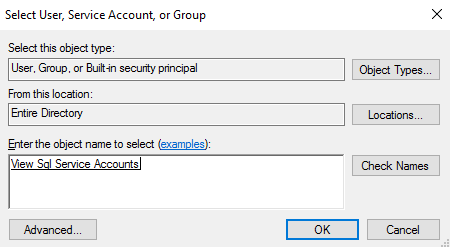 In a production environments, this would be a user group with SQL Admins. 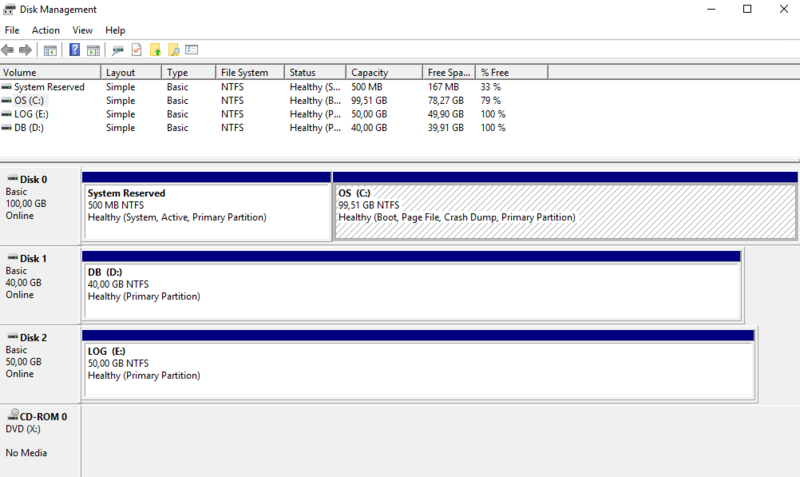 I customize the Data directories to match my configured partitions, Next. 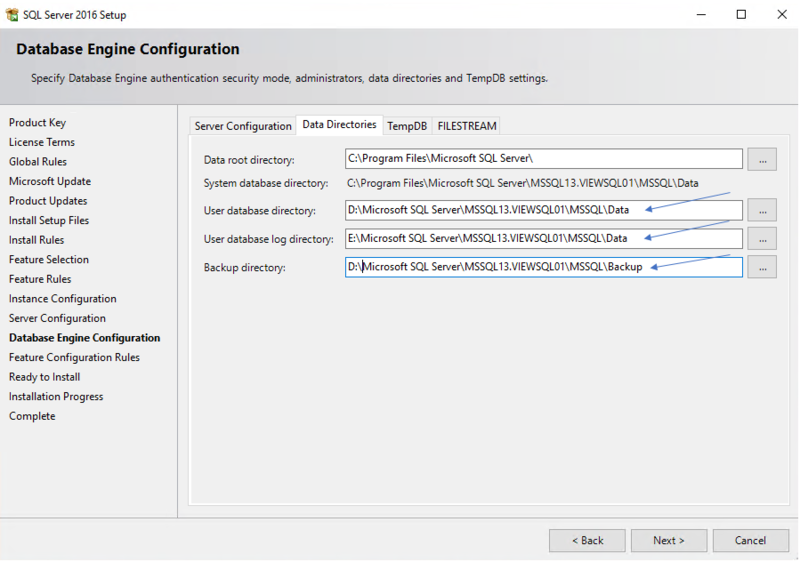 Using the instance’s name in the paths, caused errors when setting up Availability groups, this would have been avoided if I for instance used “D:\Microsoft SQL Server\MSSQL\Data” as User database directory path. 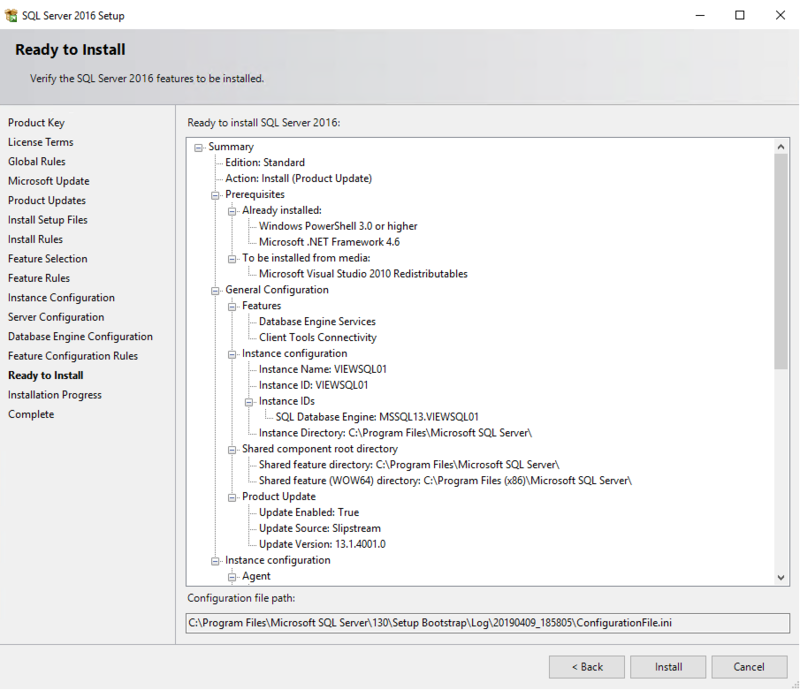 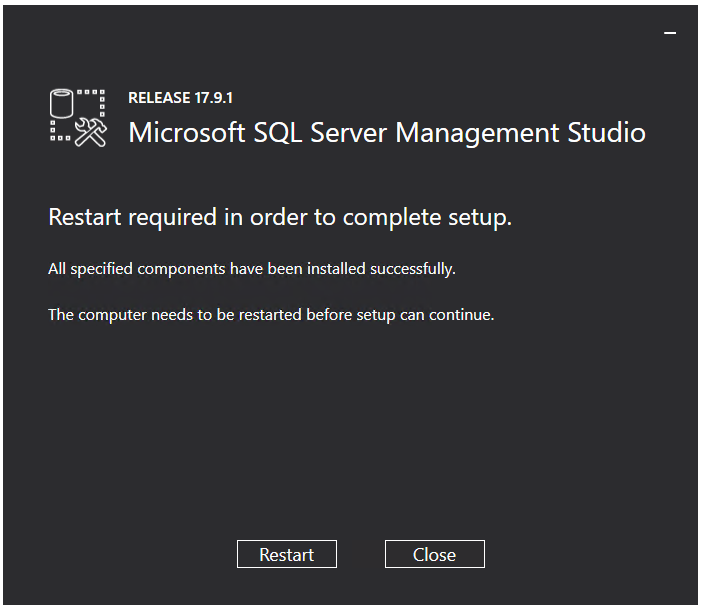 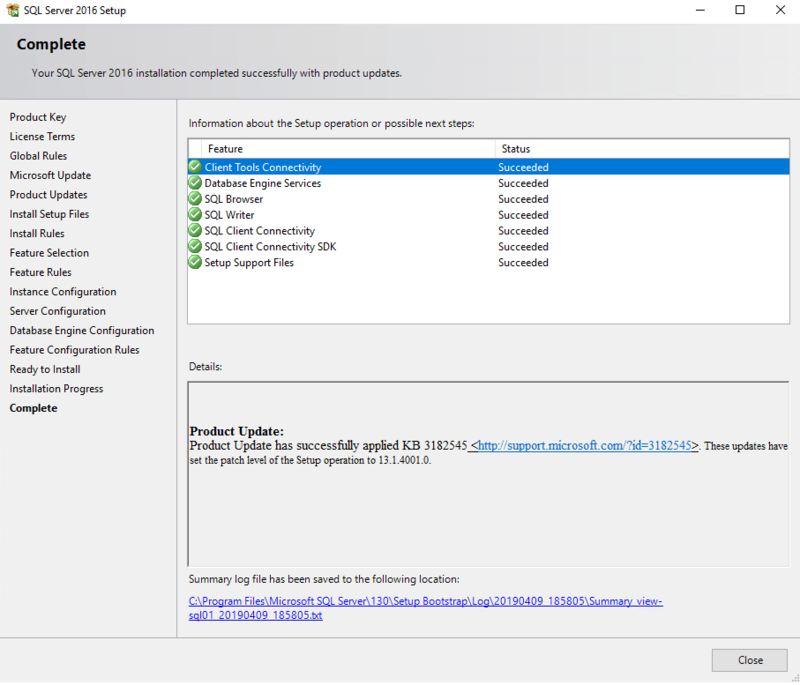 Now that the SQL Server is installed and configured, I will proceed with installing SQL Server Management Studio. 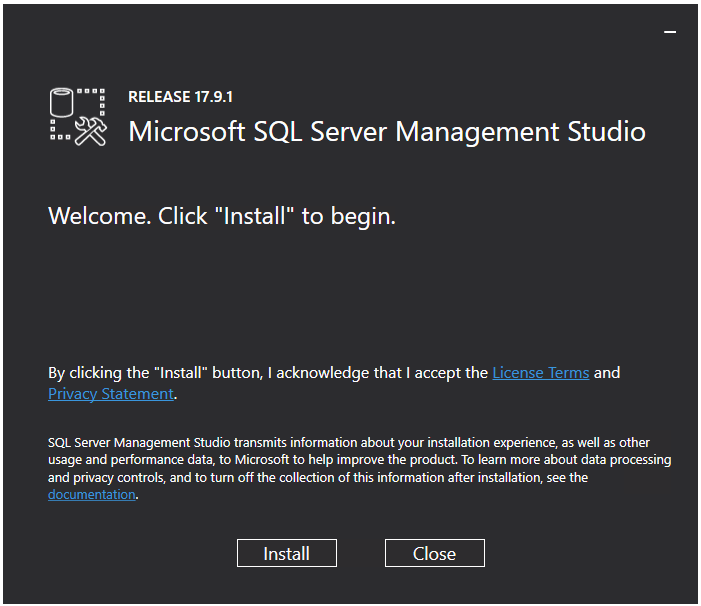 Back in SQL Server Installation Center, I click “Install SQL Server Management Tools”, which takes me to a web-page where I can download the Management Studio installation media. 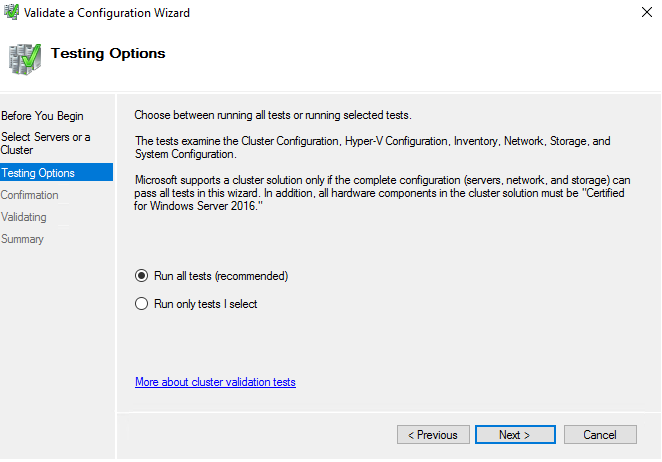 As this is going to be two clustered instances, they will need to be able to talk together. 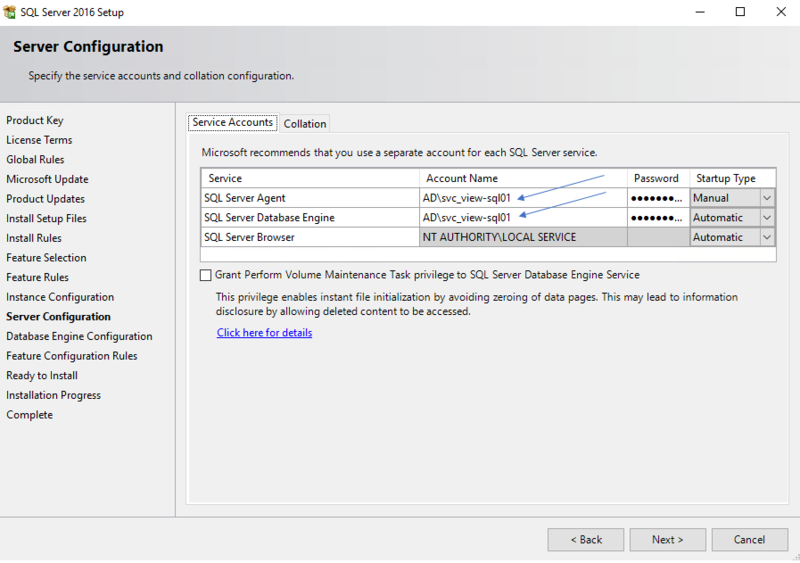 In order to get this working, the service accounts will need to be sysadmins on the SQL Servers. 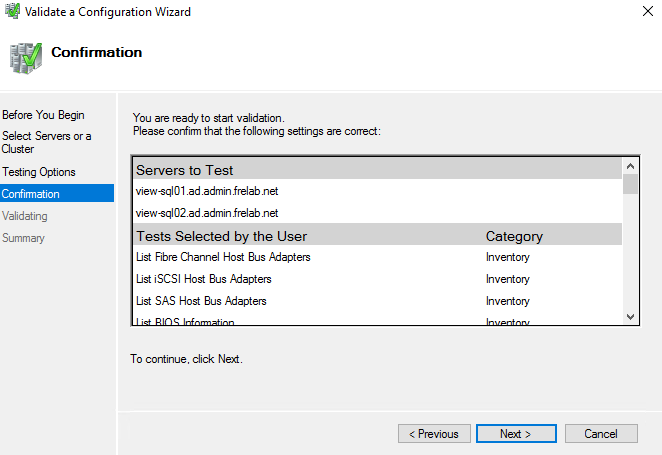 To achieve this, I will use the user group I created at the beginning of this session. 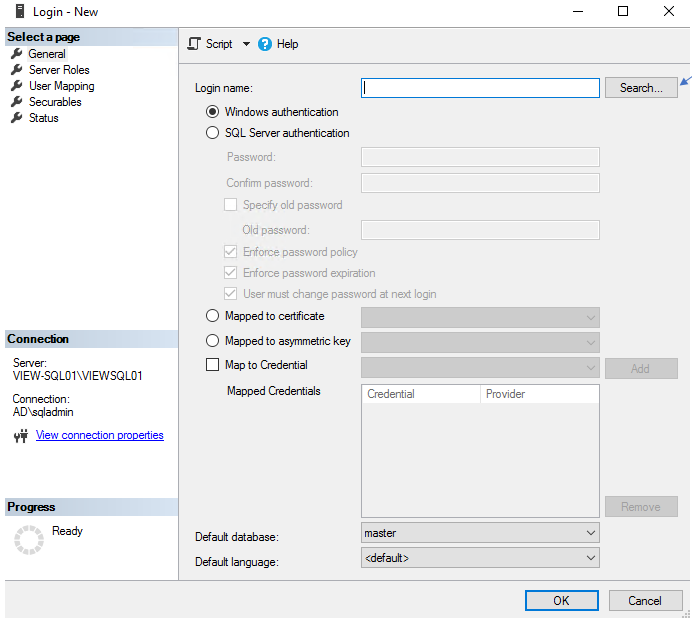 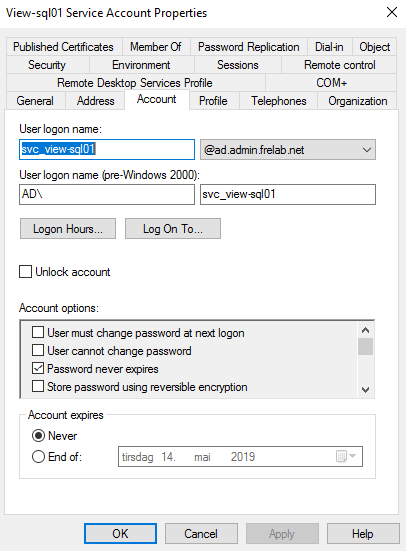 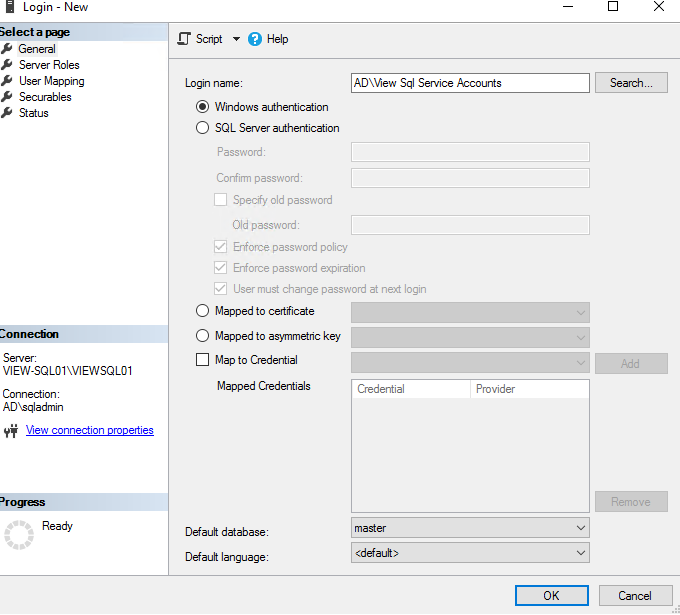 I will give this user group sysadmin permissions by creating a new login for the user group on each server in SQL Server Management Studio. 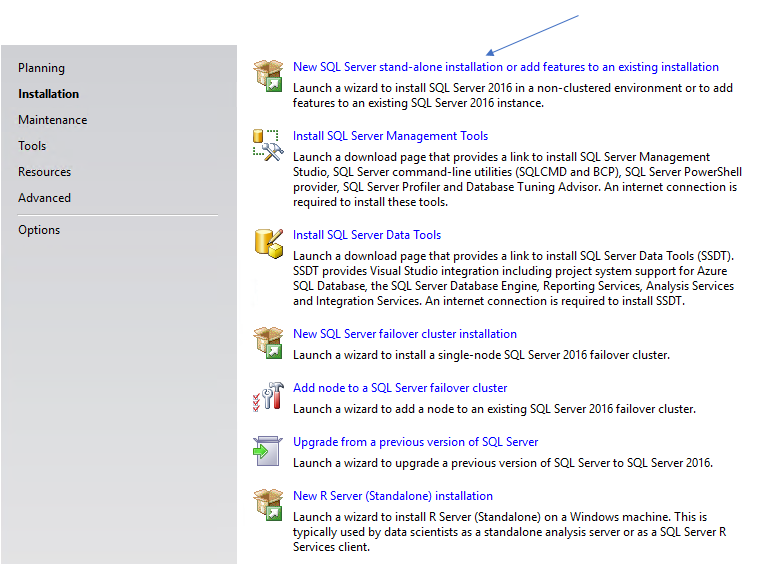 As this is a Lab setup, I will adjust the memory usage for the SQL servers as follows.